Jun 26, 2012 · Track 4 from Jerry Douglas' new album "Traveler". Purchase it through iTunes here: http://ow.ly/bnHWf. Listen to Jerry Douglas – The Boxer feat. Mumford & Sons and Paul Simon for free. Jerry Douglas (born in Warren, Ohio on May 28, 1956) is an American Dobro player. Listen to music by Jerry Douglas on Pandora. Discover new music you'll love, listen to free personalized radio. 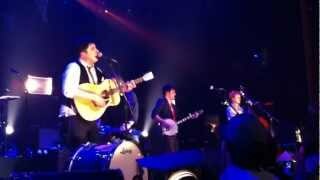 Mumford & Sons cover Simon & Garfunkel’s classic ballad of misplaced anger and powerlessness. The song also appeared on Jerry Douglas’s album Traveller. Mumford & Sons feat. Jerry Douglas "The Boxer" & "Awake my Soul" Dixon IL Gentleman of the Road Tour in Dixion IL. Absolute Awesome Show!